I tweeted Peri, Wendie and Kelsey about the forum and they did not reply. I am quite dissapointed. I thought Kelsey was the one who wanted the Frasier series? 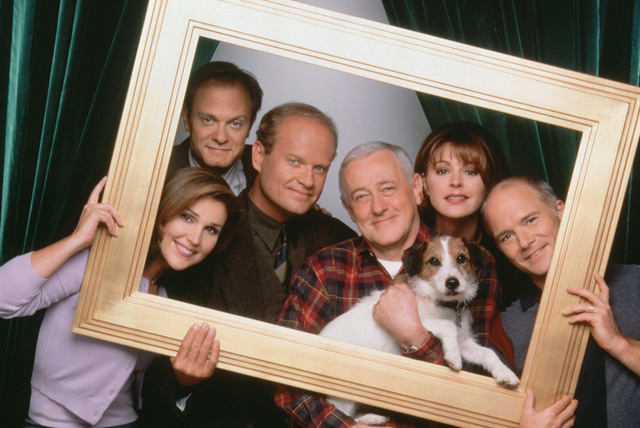 I set up a twitter for the forum, and also to ask Frasier stars to visit the forum, without a big long letter to their agency address saying how great they are. I wanted them to join the forum and give a talk with our members. I am a moderator on a Keeping Up Appearances Forum... they got the director of the show to give a talk, I thought it might work for us. Ha ha - you don't follow me because either you don't have a twitter account or you didn't know we had a twitter account. Tell me though, who is Wendie? Am I tired and the answer is obvious?? Ronee! Martin's fiancee in the last 2 seasons.